Broken Arrow Music and Kalli, the former lead singer and songwriter for Reykjavik’s Without Gravity (originally known as Tenderfoot), have released Escape Artist, his first new album in over six years. The 6-song EP is a return to the lush, atmospheric soundscapes reminiscent of his Icelandic homeland, from his last release’s exquisite sojourn into Nashville’s Americana stylings. Kalli’s previous album Last Train Home took the unexpected creative path from Reykjavik to Nashville, where he teamed with some of the town’s best musicians to release an album to widespread acclaim, culminating in a nomination for “Album of the Year” at the Icelandic Music Awards (eventual winner was Sigur Rós front man Jónsi’s solo release Go). The album had the distinct feel one might musically expect when influences from northern Iceland meet America’s front porch. But Escape Artist fully returns Kalli to his homeland, and to working with longtime collaborator/producer Arnar G. (Leaves). The duo’s magic was first realized on Without Gravity’s recordings, then solidified with Kalli’s debut solo album While the City Sleeps; a brooding, late-night travel within a deep, stormy soundtrack that surrounded Kalli’s introspections of life’s changes. As with all of Kalli’s releases, Escape Artist showcases his beautiful vocals and mystical sonic imageries which distinguish and elevate his songs beyond the norm. But here these elements are well moved forward. His third solo album features a greater dynamic range throughout the collection than previously experienced in either While the City Sleeps or Last Train Home. “Stars in my Pocket” and the lead single “My Bird” showcase Kalli’s continued mastering of the hushed beauty first heard in Without Gravity: sparse, quiet reflections within mesmerizing, musical atmospheres. These are the tracks that give the listener Kalli’s best. Showing the strength of his arrangements, “My Bird” further shines as an instrumental. The album’s coda is a good example of why Kalli’s talents have also been utilized in over 14 films and television shows, including Emmy Award-winning Criminal Minds, City State, and French César Award-winner The Grocer’s Son. Escape Artist shows Kalli in a warmly-welcomed return home to Iceland, and yet another push against his own boundaries. ​ It is music to the eyes and ears. When the storied music worlds of Iceland and Nashville unexpectedly join together, one might hope for something wonderfully provocative and distinctive. That is exactly what one gets and then some with Last Train Home, the new solo album from Kalli, the former front man and voice beautiful of the Reykjavik-based band Without Gravity. 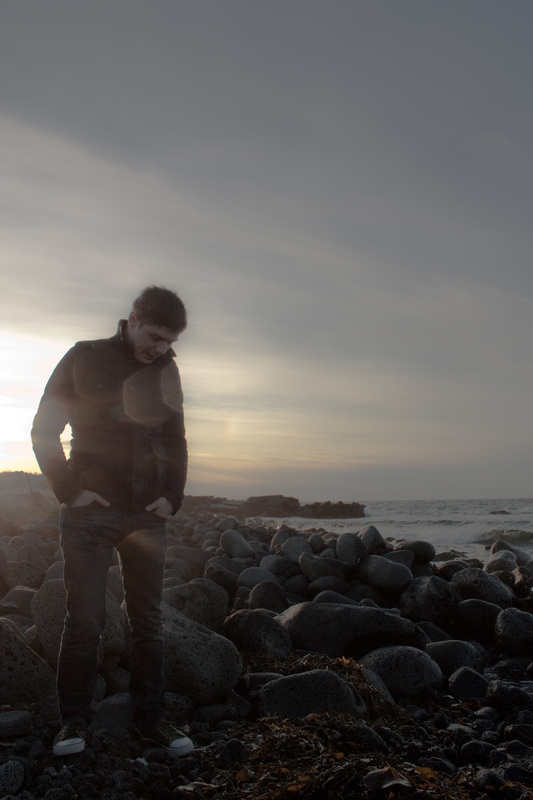 Kalli creates lush, atmospheric soundscapes throughout each of his albums, with sweeping, downtempo arrangements and a mesmerizing voice that are as emotional as they are transcending. His writing is personal and sparse, letting the imagery and music carry equal if not more weight, all befitting of his beautiful, isolated homeland. World’s collided when these dark and hushed Icelandic textures met the wooden front-porch of American music. 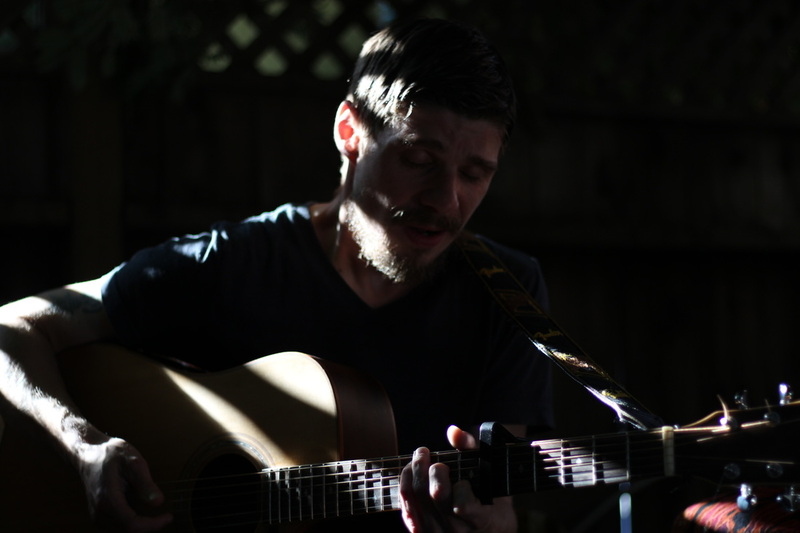 Realizing a dream to travel and record in Nashville, Kalli took his alt-country ideas to their source and teamed-up with producer Kurt Storey and A-list musicians such as Lloyd Green on pedal steel, Guthrie Trapp on guitar, J.D. Blair on drums and a host of other Nashville favorites who no doubt were also getting their first exposure to A vastly different musical approach. It’s a glorious thing for musicians and fans alike when artists step out of their comfort zone to try something far different from their norm, and then it works, magically well. The result is Last Train Home. A “stunning piece of work which is emotional, understated and contemporary all at once… simply perfect for taking you away to your own idyllic place in your mind” (Never Enough Notes, UK). “It’s like sunsets and rainbows for your ears…beautifully mesmerizing” (More Than the Music, UK), and is “a warm, emotional album…achingly beautiful with so many layers. Sounds like a long-lost Poco album from 1975. What a treasure” (Maverick, UK). 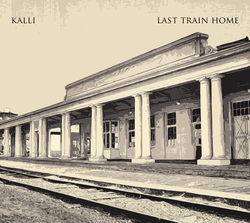 Released last year by UK-based One Little Indian and a nominee for Best Album of the Year at the Icelandic Music Awards, Last Train Home is being re-released through a partnership between Kalli, Reykjavik’s Smekkleysa/Bad Taste Records and San Francisco label Broken Arrow. The album follows Without Gravity’s critically acclaimed debut Tenderfoot, and fully expands on the country-acoustic influences found on Kalli’s first solo release While the City Sleeps. Preceding the album release (but not on the album) is the new single "Road Trip" featuring Los Angeles-based singer-songwriter Kirsten Proffit.